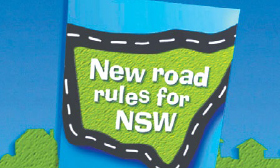 When Transport NSW introduced new road rules it was their responsibility to inform every driver in the state. A fully integrated campaign of television, radio, press and direct mail into every household in the state ensured extremely high awareness. Written, art directed and produced by KB at Peach. I read this article and found it very interesting, thought it might be something for you. The article is called RTAand is located athttp://www.kbcommunications.com.au/portfolio/rta-2/.